Frestedt Incorporated employs expert clinical, regulatory and quality staff members and contracts specific experts from a panel of 70+ consultants to address client needs. This staffing model allows Frestedt Incorporated to expand and contract as needed to manage any size of project while working as an extension of your team. Dr. Frestedt has managed clinical, regulatory and quality affairs for more than 35 years and has published more than 100 manuscripts, book chapters and recently, her first book entitled “Warning Letters: 2016 Reference Guide” with Barnett International. Her next book “FDA Warning Letters about Food Products: How to Avoid or Respond to Citations” is to be published by Elsevier in August 2017. 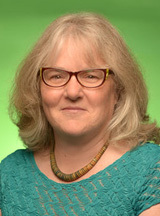 With a PhD in Pathobiology from the University of Minnesota Medical School, her experience includes designing, conducting and overseeing clinical trials as well as negotiating regulatory submissions and developing quality systems for companies like the University of Minnesota, Orphan Medical, Astra Zeneca Pharmaceuticals, Johnson and Johnson, Medtronic, and Mayo Clinical Trial Services. Dr. Frestedt also founded Alimentix, the Minnesota Diet Research Center and was named one of the “100 Most Inspiring People in the Life Sciences Industry” (PharmaVOICE, 2011) and one of the top 25 “Industry Leaders/Women in Business” (Minneapolis/St. Paul Business Journal, 2011).